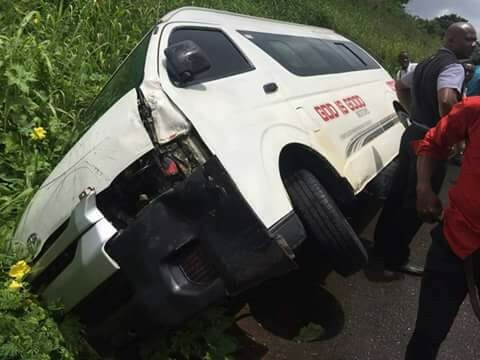 Passengers of a 'God is Good' bus narrowly escaped death when the vehicle crashed along the Benin-Lagos Express Road after the driver allegedly slept off while on the steering. Inter-state drivers should be getting enough sleep. The incident reportedly happened yesterday, Sunday 23rd September. The incident happened days after over seven passengers, mostly women traveling with same transport company were kidnapped. Meanwhile, a text message to the media department of the company for reaction was not replied at the time of this report.